Bannerghatta National Park formed in 1971 is at a distance of 21 kilometers from Bangalore, Karnataka spreads an area around 105 square kilometers that includes ten reserve forests of Anekal Range of the Bangalore Forest Division. Bannerghatta consists of the National Park, an Aquarium, Zoological garden and park for children, Crocodile Farm, Snake and pre historic Animal Park along with a museum. 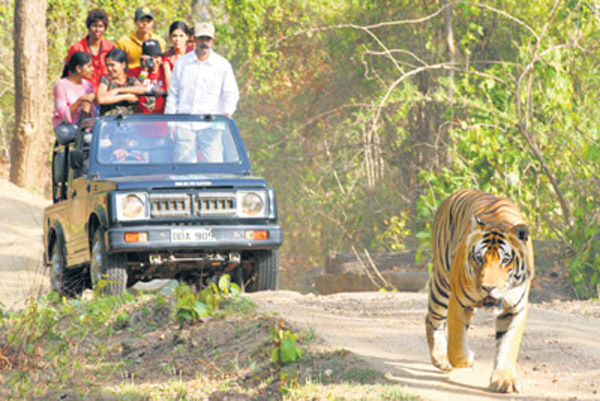 Jungle safaris to observe tigers, lions in jeeps and elephants are the main attraction of the Park. This park remains open all over the year and tickets for entry into the Zoo and Safaris can be obtained at the main entrance. The best / ideal time / season / when to visit : November to June.